We’ll help you map out a viable plan for growth – and provide the support you need to make it happen. Our Business Growth Service is available to any business that is looking to grow – you don’t need to be an existing client of RfM Accountants. driving innovation and technology-led change. The programme is delivered by RfM working together with your local Business Growth Hub. available developmental funding and grants. We can also provide support in the later phases of the plan to help you achieve your desired future business model. RfM Business Consulting will work with your local Business Growth Hub to secure funding to help produce your Growth Action Plan. If successful, the Growth Hub could pay 40% of the cost up to £2000. Working in a highly targeted way, we follow a structured process to drive out business improvement plans with minimal disruption to your business. This process allows us to collect information from you – and to delve deep into the issues you face – to understand what you are seeking to achieve from your business. we can help you gain access to matched funding routes. 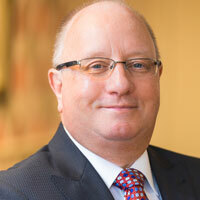 ​Tony has almost 30 years’ experience in managing change. 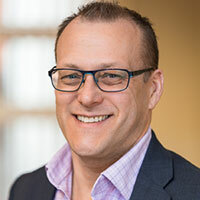 He has set up and managed practices for leading consultancies and also spent five years directing the largest IT Outsource in the NHS.​ He has worked with organisations across the public and private sectors to carry out strategic reviews and build innovation into programmes of delivery. Tony leads our Business Consulting Unit and helps companies of all sizes to manage business growth and innovation. He can provide an expert, external and objective view of the business and identify opportunities for and barriers to growth. Working closely with clients, Tony will develop a realistic growth plan, help to refine areas of focus and ensure everything the business does is aligned to the strategic objectives. He can also signpost clients to finance and grants that may be available and support them with applications. Paul has over 40 years’ experience in banking. He held the role of Deputy Managing Director of the North West of England for RBS/NatWest before setting up his own banking consultancy in 2010. Paul provides support to businesses of every size who need help dealing with their bankers or changing banks, or are looking to restructure and expand. Enquire about RfM Business Consultancy today. Contact one of our offices or enquire online.